Did law enforcement have a seat at the table in negotiations over medical cannabis? Utah public-safety commissioner says no but that’s OK. The Weber County sheriff, a strident opponent of attempts to relax cannabis laws, is taking issue with the lack of a law-enforcement presence in negotiations over the medical marijuana bill passed by the Legislature earlier this month. The talks had been going on behind the scenes for weeks before public-safety officials were looped in, and even afterward, they were never part of the core group. Sheriff Terry Thompson has a problem with that. “We weren’t invited to the table. We knew nothing about it until weeks after the talks had been going on,” he said Tuesday in an interview with The Salt Lake Tribune. “If you were to ask the citizens of Utah, ‘Would you like the input of law enforcement in your legislation, your statutes and specifically those public safety-related,’ ... I think your average citizen would say, ‘Yes.’"
The sheriff raised the hackles of some medical cannabis advocates with his stance on Proposition 2 (he authored a Utah Sheriffs' Association letter opposing the ballot initiative). And Connor Boyack, a medical cannabis advocate who was integral in designing the Prop 2 replacement bill, said Thompson is also off base in his criticism about police presence at the negotiating table. 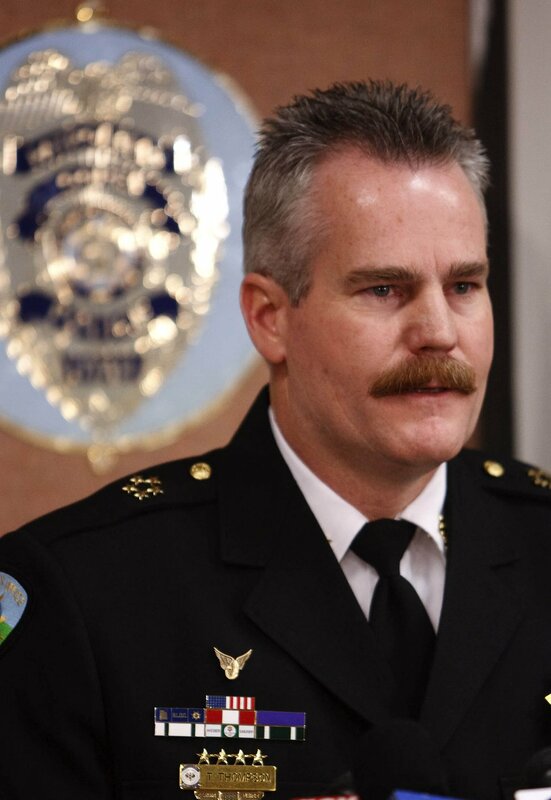 (Leah Hogsten | Tribune file photo) Weber County Sheriff Terry Thompson in 2012. Jess Anderson, Utah’s commissioner of public safety, said he was initially worried that law enforcement wasn’t represented in negotiations over the cannabis compromise. So he pulled together various public safety groups — including the Utah Sheriffs' Association, Utah Chiefs of Police Association and prosecutors across the state — to review the bill language and offer suggestions. For instance, Anderson said that based on law-enforcement input, the bill’s drafters tweaked some language on affirmative defense, a legal protection for qualifying cannabis patients. The group involved in writing the Utah Medical Cannabis Act passed by lawmakers in a Dec. 3 special session included: Boyack; House Speaker Greg Hughes and his chief of staff; a representative of the governor’s office; Michelle McOmber of the Utah Medical Association; a liaison from the state Senate; Marty Stephens, lobbyist with The Church of Jesus Christ of Latter-day Saints; and DJ Schanz of the Utah Patients Coalition. This assortment of Utah power brokers structured the act as a compromise between supporters and opponents of Prop 2 and began publicly circulating a draft a couple months before it was passed by lawmakers. During that time, officials held hearings and advocates organized forums to gather input on the measure, and some of the feedback made its way into the final bill. In response to Thompson’s complaint about the bill-drafting process, Boyack said he was troubled that some in the law-enforcement community emphasize shaping the laws rather than being content to enforce them. The Utah Sheriffs' Association was engaged in the opposition effort against Prop 2, and several agencies promoted a documentary on the ills of marijuana on their government Facebook pages. But Anderson said he hasn’t heard law-enforcement officials complain about the Utah Medical Cannabis Act approved earlier this month as a replacement for Prop 2. The Utah Highway Patrol has instructed troopers not to detain or cite people who seem to be carrying cannabis in accordance with the new state law, which allows qualifying patients to possess medicinal dosage forms of the substance at a doctor’s recommendation. Thompson said agencies across the state are looking at the UHP guidelines as they try to adopt a consistent approach to the new law. However, shortly after the special session, Thompson did forward some of his contacts an email containing explosive language about how the “wolves among us” had undermined attempts to protect Utah from the marijuana industry. The message, written by former federal prosecutor Monte Stiles, also predicted a continuing “firestorm” over medical cannabis in the state. “The end of compromise today is the beginning of the next battle,” Stiles, who’s from Idaho, wrote. Boyack, who got a copy of the message, responded with a Facebook post vowing to defend the state’s fledgling medical-cannabis program. In a phone interview later, he said the language in the email was worrisome. “The very fact that views like these are being expressed and shared within the law enforcement community shows the callous indifference we have had to fight against for years to change this law, and we’re very worried at the language being used here that talks about law-enforcement folks waging a battle against the very people they are supposed to be defending,” Boyack said. Thompson, who’s retiring when his term as sheriff expires in January, said he was opposed to Prop 2 but hasn’t taken a close look at the so-called compromise bill and couldn’t offer a detailed opinion on it. “What’s done is done, and whatever happens will happen. And I’m not going to lose any sleep over it,” Thompson said. The sheriff said he has long seen the potential medicinal value of CBD, a nonpsychoactive component of cannabis. 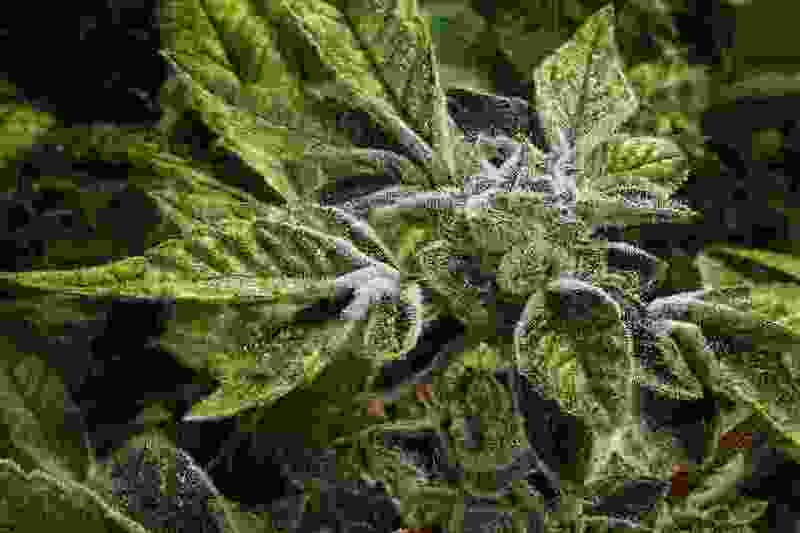 But he’s firmly opposed to easing restrictions on THC, a mind-altering chemical present in the plant.